If you are looking for a job in Assam, here is the good news for you. 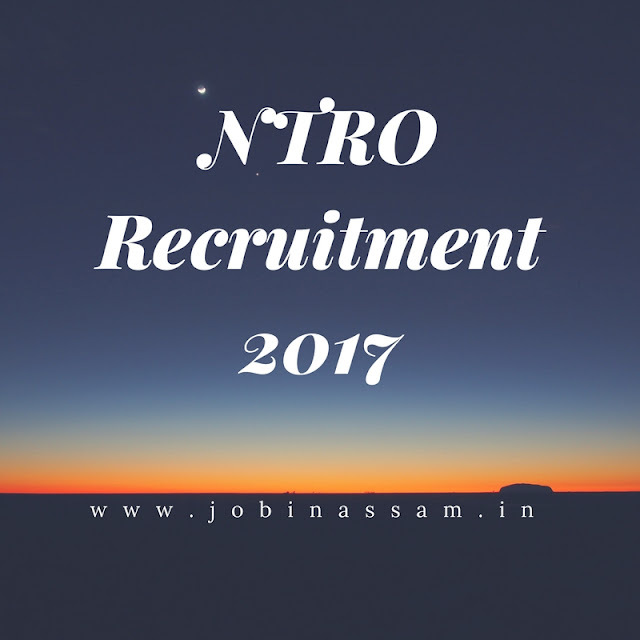 NTRO has published a notification regarding their latest Recruitment in various posts by NTRO Jobs in Assam 2017. National Technical Research Organisation invites people to fill up application for the post Technical assistant. Bachelor Degree in Science with Mathematics or Physics as one fo the subject from a recognized University. Three year Diploma in Engineering or Technology in Electronics/ Communication/ Electronics & Communication/ Telecommunication/ Electronics & Telecommunication from a recognized Institute. Having working knowledge of Computer. There years Diploma in Engineering or Technology in Computer/ Computer Science/ Computer Technology/ Computer Science & Information Technology/ Information Technology from a recognized Institute. Diploma/ Technical Proficiency Certificate in Computer/ Computer Science/ Computer Technology/ Computer Science & Information Technology/ Information Technology awarded by the Armed Forces; and Having working knowledge of Computer. These posts are advertised by NTRO to recruit eligible candidates for their department. You can apply for the post if you have the eligiblity mentioned above. I have shared all the important knowledge for the upcoming NTRO Recruitment here.In www.jobinassam.in you will always get the clear picture of any Latest Job News Assam. For more about AssamCareer jobs click here. I will help you as much as I can. This is completely free service for from me. NTRO will be a good job for you if you are eligible for the post mentioned above, apply before the last date. Monthly pay for the NTRO job is also good.